The combination of marine lipids and lecithin is comprised of 70% marine lipid and 30% lecithin. It is produced in the form of soft gel capsules of 130mg net weight for systemic use. The nature and principal functions of the components of the product have been established and are described below. Marine lipid is combined with olive oil in a ratio of one part fish lipid complex to nine parts olive oil. In this form the natural pharmacological activity of the specific fish lipids as an anti-inflammatory in rheumatic arthritis and angiogenesis inhibitory agent is significantly enhanced. Anti-inflammatory and angiogenesis inhibitory activities are important for the mediation and control of many diseases, particularly angiogenesis related disorders such as cancer, rheumatic arthritis, psoriasis and diabetic retinopathy. Marine lipid has been shown to inhibit the activity of enzymes responsible for the biosynthesis of pro-inflammatory prostaglandins and leukotrienes in addition to mediating cytokine activity. 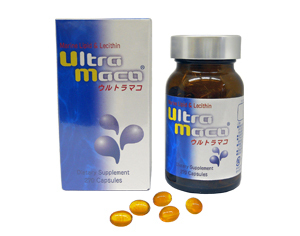 Marine lipid has also been shown to be an effective inhibitor of growth factor activity, in particular the growth factors known to stimulate angiogenesis such as VEGF-1 and VEGF-2. Lecithin is a phospholipid (an oil or fat) that also contains a phosphate group). In chemical terms lecithin is phosphatidyl choline. However, commercial lecithin contains different amounts of phosphatidyl choline depending on the source from which it has been derived. Common sources are soybeans, sunflower seeds, rapeseeds and egg yolks. Commercial lecithin products usually contain about 20% phosphatidyl choline although lecithin derived from egg yolk can contain 70% phosphatidyl choline. The lecithin combined with marine lipid is from egg yolks. Phospholipid is a major component of our cell membranes and is responsible for maintaining the integrity of the membrane as well as providing a source of choline (a precursor in the synthesis of the neurotransmitter acetylcholine). Cell membrane integrity and, in particular, fluidity is crucial to our normal biological functions and health. Many diseases, one of which is psoriasis, are exacerbated by a loss of integrity of our cell membranes. 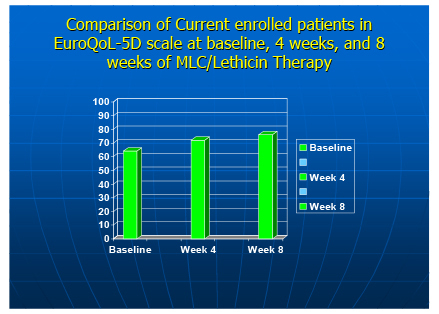 Combining marine lipid with lecithin significantly enhances the pharmacological activities of marine lipid. While the mechanism for this enhancement is not yet understood it is likely that at least one of the mechanisms is improved cell to cell signal transmission as a result of well maintained cell membrane integrity. 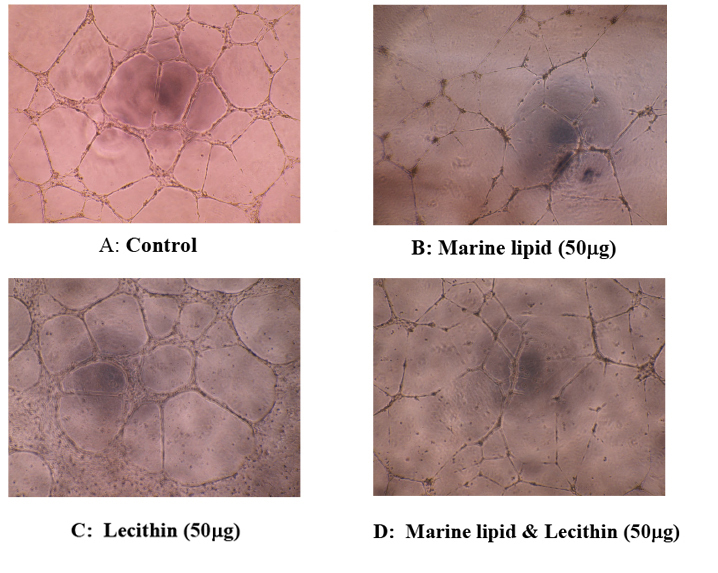 The results presented above indicated that a combination of marine lipid with lecithin exerted a synergetic anti-angiogenesis effect. This anti-angiogenesis bioactivity suggests that this combination has a potential clinical application in angiogenesis related disorders. Psoriasis is a disease that mainly manifests in the skin but, in some instances (psoriatic arthritis), also in the joints. The disease is immune–mediated and manifests in painful, itching skin lesions and inflammation. Psoriasis is mediated by some of the same proinflammatory cytokines and growth factors that are involved in chronic inflammatory diseases such as rheumatoid arthritis. Cytokine and growth factor activity in a process called angiogenesis (the birth of new blood vessels) leads to excessive cell proliferation. Case report: the effect of combination of marine lipid and lecithin on psoriasis. 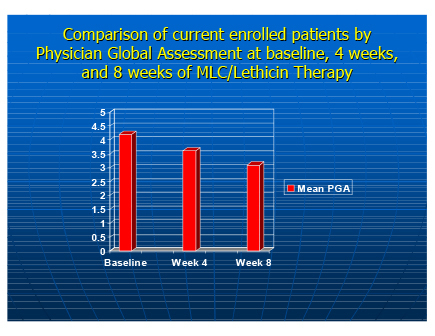 Clinical Evaluation of Patient Response to marine lipid /lecithin treatment. From the above cases, taken together with a range of other cases of moderate to severe psoriasis treated with marine lipid and lecithin, it can be seen that this product provides a safe and effective treatment for the control of the symptoms of this debilitating disease. Integration of this natural product into the recognized treatment regimes for psoriatic diseases will complement, or reduce the requirement for, the use of steroids and other anti-inflammatory compounds which can induce unpleasant side effects. A strong recommendation has been raised that taking the combination of marine lipid and lecithin together with folic acid, vitamin B6 and vitamin B12. The marine lipid contains omega-3 fatty acids, especially EPA, which is very important for mental health. Insufficient EPA has been linked to various clinical and behavioral conditions involving mental function. These include depression, bipolar disorder, schizophrenia, violence, aggression, and attention deficit hyperactivity disorder. These fatty acids are also associated with certain neurodegenerative diseases such as Alzheimer’s and Parkinson’s diseases. A common feature of these disorders is low levels of the marine or fish oil omega-3s, EPA and DHA. Vitamin B6 comprises a closely related group of compounds: pyridoxine, pyridoxamine and pyridoxal. Vitamin B6 is required for the proper functioning of more than 60 different enzymes and plays a vital role in the multiplication of all cells. Pyridoxine is an extremely important B vitamin involved in the formation of body proteins and structural compounds, chemical transmitters in the nervous system, red blood cells, prostaglandins and mucous membranes. Vitamin B6 is critical in maintaining hormonal balance and proper immune function and is involved in the manufacture of all amino acid neurotransmitters. Folic acid functions together with vitamin B12 in many body processes. It is critical to cellular division because it is necessary in DNA synthesis and without folic acid cells do not divide properly. Folic acid is essential for the development of the central nervous system of the foetus and a deficiency of folic acid during pregnancy has been linked to several birth defects including neural tube defects like spinal bifida. Despite the wide occurrence of folic acid in food, folic acid deficiency is a common vitamin deficiency in the world. The reason reflects food choice as plants are a rich source but are not frequently consumed. Vitamin B12 is found mainly in animal foods. Vitamin B12 works with folic acid in many body processes including DNA synthesis, red blood cells, and the insulation sheath (the myelin sheath) that surrounds nerves and conducts the impulse along the nerve. The stomach secretes intrinsic factor a substance required for the absorption of Vitamin B12. Vitamin B12 is stored in the liver, kidney and other body tissues. Inadequate intake affects the brain, spinal cord and the classic blood changes are pernicious anaemia. Impaired nerve function can cause numbness, pins and needles or a burning sensation. In addition to anaemia and nervous system symptoms Vitamin B12 deficiency can result in a beefy red tongue and diarrhoea. Vitamin B12 like folic acid is a methyl donor and is involved in homocysteine metabolism and plays a critical role in energy metabolism, immune function and nerve function. Vitamin B12 and folic acid work in conjunction and as B12 works to reactivate folic acid and inadequate intake of B12 results in a folic acid deficiency only if folic acid levels are marginal. A high intake of folic acid may mask a B12 deficiency as it prevents the changes in the red blood cells but does not counteract the changes in the brain. Yuan L, Yoshida M, Davis PF. Inhibition of pro-angiogenic factors by a lipid-rich shark extract. Simopoulos AP. Human requirement for N-3 polyunsaturated fatty acids. Poult Sci. 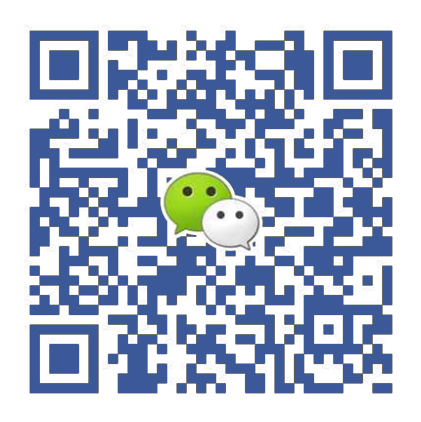 2000 Jul;79(7):961-70. The Center for Genetics Nutrition and Health, Washington, DC 20009, USA. Hellhammer J, Fries E, Buss C, Engert V, Tuch A, Rutenberg D, Hellhammer D. Effects of soy lecithin phosphatidic acid and phosphatidylserine complex (PAS) on the endocrine and psychological responses to mental stress. Stress. 2004 Jun;7(2):119-26. Neuropattern, Trier, Germany. Herrmann W, Obeid R. Review: Biomarkers of folate and vitamin B (12) status in cerebrospinal fluid. Clin Chem Lab Med 2007;45. Department of Clinical Chemistry and Laboratory Medicine, Faculty of Medicine, University Hospital of Saarland, Homburg/Saar, Germany. Herrmann W, Herrmann M, Obeid R. Hyperhomocysteinaemia: a critical review of old and new aspects. Curr Drug Metab. 2007 Jan;8(1):17-31. Clinical Chemistry and Laboratory Medicine/Central Laboratory, Saarland University Medical School, 66421 Homburg, Germany. Obeid R, Herrmann W. Homocysteine, folic acid and vitamin B12 in relation to pre- and postnatal health aspects. Clin Chem Lab Med. 2005;43(10):1052-7. Department of Clinical Chemistry, Saarland Medical School, Homburg, Germany.